Dr. Christopher H. Harris, native of Fort Worth, Texas, is a music educator, conductor, performer, and choral composer. In August 2017 he joined the faculty at Arkansas Tech University as Director of Choral Studies and Assistant Professor of Music. 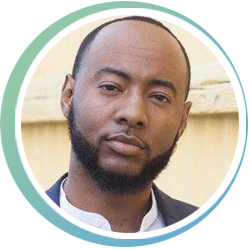 He received his PhD in Choral Music Education from Florida State University in Tallahassee, FL, his Master’s in Choral Conducting from Ithaca College in Ithaca, NY, and his Bachelor’s in Music Education from Texas Southern University in Houston, TX. Prior to entering graduate school, Harris enjoyed several years of successful public school teaching in Houston, Texas. His choirs received numerous sweepstakes awards at state UIL competition as well as honors to perform with the Bay Area Chorus and an invitation to perform as a demonstration group at the Texas Choral Directors Association Convention. Harris is the founder of the Houston Master Singers and has served as the Assistant Director for the Houston Ebony Opera Guild. He is active as an adjudicator and has presented numerous sessions on choral rehearsal techniques at state and regional conventions. He is a published composer with several accolades including winner of both the Eastern and National Divisions of the 2013 National Association for Music Education Composition Competition, and the Grand Prize Winner of the 2016 Ithaca College Choral Composition Competition. His music has been performed internationally by mixed, men’s, and treble choirs of varied ages and abilities. Most recently Harris was honored through the selection of his music for performance by the 2018 Texas All-State Mixed Choir, the 2018 Southwest American Choral Directors Association Men’s Honor Choir, the 2018 Arkansas Intercollegiate Choir, and the 2019 Arkansas All-State Mixed Choir and New York All-State Mixed Choir. As a performer Christopher has performed as guest baritone soloist for concerts with the Texas Southern University Choir, the Houston Ebony Opera Guild, the Houston Symphony Chorus, the 2013 Owego School District’s Production of Faure’s Requiem, with choirs from Florida State University, and the Tallahassee Community Chorus. Harris was guest soloist with the ATU Symphonic Wind Ensemble for their performance at the Southwestern Division of the College Band Directors National Association Convention in Houston, Texas in March 2018.